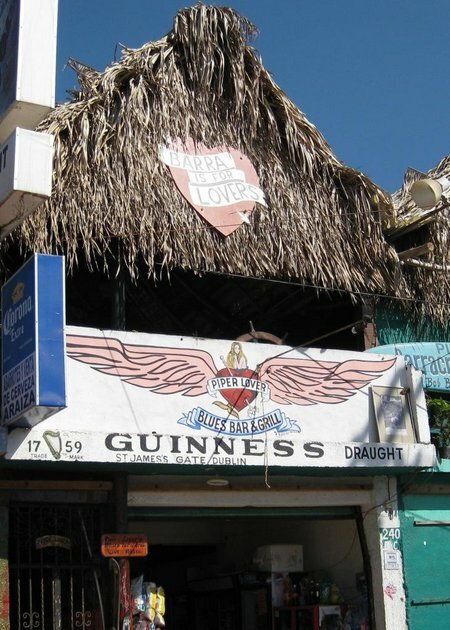 You can be in a remote town in Mexico, way off the beaten tourist path and there it is, right in front of you: a Guinness sign with the signature address from your home town and the iconic Irish harp logo. As my brother-in-law (who took this photo) said: “You just can’t get away from the Guinness!”. 2009 is Guinness’ 250 year anniversary and they’re celebrating (surprise!) with a 250 Anniversary Stout and a contest to win a trip to Dublin. Go on, enter. You never know, you may be in Dublin to join in the celebrations! I’m just sharing the love by mentioning this contest here. There were no payments or sponsorships received by yours truly, although I wouldn’t say no if a six-pack or a t-shirt was to magically appear on my doorstep . Enjoy more Photo Friday fun at DeliciousBaby. This entry was posted in International Escapades, Kid Travel Photos, Mexico and tagged Barra de Navidad, Mexico on June 11, 2009 by wandermom.